It had been incredibly cold and snowy for the last few weeks and during that time while I'd built all sorts of stuff, it was far to cold to primer any thing and my hobby output sort of ground to a halt. However, a beautiful Colorado day appeared and I undertook a frenzy of primering. So that means it's time for da boyz! Taking a cue from Colonel Scipio's excellent DKoK, I went with a predominantly brown leather look, with a bit of grey on the helmets to tie them in to the grey armor plating that will be on the various vehicles. Two ten-man squads will go in the pair of half-trakks, and careen around the battlefield blasting away with their shootas until they inevitably get their ride blown out from under them and bewildered orks are tossed in all directions. That's the troops choices sorted out - Jobs a good 'un! While I was about it, i also put a brush to the warboss model, which is just chock full of character. I went with a red sandstone sort of look for the bases, which sets off reasonably well against the blue-grey of the models, but I found my usual reddish-brown base rims just looked poor. Black rims it is! I'm in for a half dozen of these, and that's no lie. Love these! The big shoota Orks are awesome! Love em all. Don't be surprised when I follow your recipe here in the future. @Jugger: Thanks! I'm well pleased with the sculpts, they're all from Kromlech. @CJ Kilbride: Cheers! I look forward to seeing what you do! @Colonel Scipio: Indeed, mate - thanks for the inspiration! Orks looks great! Love the basing on these too. @Dai: Hah! I said that before I found out they're gonna be $160 a pop... Who am I kidding, I'm sure that I'll still end up with 6. Probably just not all at once! This is turning out to be an awesome ork army! An Ork fraulein with a tray of brimming beer mugs would make a hilarious medic for your command squad. I'm juuuust sayin. I may have to get one of those stock knights to go with my Warden, too. Awesome looking orks! They have a wonderful WWII vibe. I particularly like how their rifles resemble the German MP40s and MP44s (and the MG42!). Keep up the great work! I was pretty exited to see those knights as well. Not quite sure what to do since I have 3 of the DreamForge ones as well. I was thinking that perhaps the GW one as a leader and the other as lesser rank? 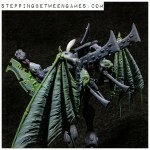 Or perhaps just a mix, still quite sure I can 40K-up the DF one to look quite cool. Honestly I'm not even sure which one I like the best - biggest concern right now is the size of this, will it be much larger than the DF one. @Sir Tainly: Thanks - you certainly did! @Manus: Cheers! It sounds like the GW kit is going to be somewhere between the 15mm and 28mm DF leviathan sizes, the 15mm scale one I think would be a perfect 'squire', while the 28mm one is better served as a proxy warhound. I went with the big kit, I think you have the 15mm versions, correct? 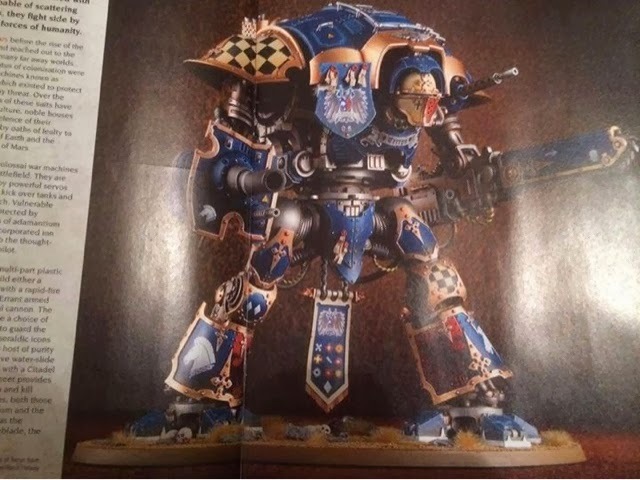 I'll definitely post up a size comparison pic with the 28mm leviathan as soon as I can get my mitts on a couple of the new knights!